Suspended Ceilings Leeds At A Affordable Rate. Suspended ceilings, also known as false ceilings, have proven to be a great way to cover your old and worn out ceilings and give a room a new and improved look. Such a ceiling is installed below an existing ceiling; thus, it can hide any kind of piping or wiring of fixtures and electrical equipment installed in a room, giving it a rather tidy and appealing look. 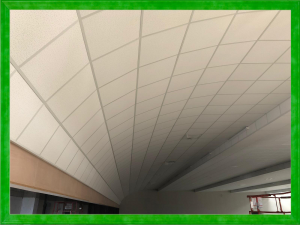 These ceilings offer numerous other features; however, their maximum benefits can only be obtained if you are getting them installed from a reputed and reliable company that is JK Ceilings. We aim to provide the best value for money with our top-notch services for installation of suspended ceiling, Leeds. We take pride in having experienced and skilled staff. They are professional, have undergone specialized training programs, and boast of the required expertise and skills; thus, they can complete a suspended ceiling installation project in the most professional way. The project will be completed before the due date so that no disturbance can be caused to your routine activities. At JK Ceilings, we have provided our expert staff with state-of-the-art gears, tools, and supplies. This enables them to use their skills optimally and complete the work in an efficient manner. Unlike other companies that offer installation services for suspended ceilings, Leeds, we do not charge a huge amount of money for our services. Our main objective is to satisfy our clients with the best services; thus, our services are top-notch and rates are affordable. You can avail our services for the installation of suspended ceilings, Leeds without burning a hole in your pockets. At JK Ceilings, we are committed and dedicated to providing our clients with the best experience. We believe in going above and beyond the set standards and offer more than the value our clients expect from us. This dedication and commitment to be the best company for the installation of suspended ceilings, Leeds has made one of the best companies in town. With a suspended ceiling in place, it can prove to be easy to perform repair services to the wires or pipes concealed above. It makes the installation of lights and other fixtures an easy process. Suspended ceilings can be installed in a quick period of time. Most suspended ceilings are moisture resistant. Therefore, there are fewer chances of moulds and mildew to grow. However, it greatly depends on the material of the ceiling. They give a room an added layer of insulation. Hence, heating and cooling can be reduced. Contact us now to obtain these amazing benefits of suspended ceilings. JK Ceilings should be your number one choice for a suspended ceiling Leeds. 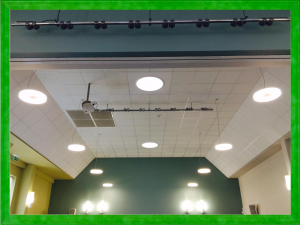 To see some of our work and read more about Suspended Ceilings Click Here. Looking for great Glass Partitions Leeds? We can offer a range of modern and contempary partitions. We even do switchable glass Click Here to read more. We have a team of highley trained dry liners who can complete your project in time with minimum disruption. Click Here to read more on our dry lining Leeds. Are you looking to renavate your tired looking office? Our modern sleek office partitions Leeds can do just that. Click Here to read more and see some of our work. All types of domestic and commercial plastering undertaken at a highly compettetive Price. Click Here to read more about our plaster Leeds service. No project is to big for us at JK Ceilings and partitions. Need a jumbo partition Leeds? Your in the rite place just visit our jumbo partitions page by Clicking Here. Don’t just let anyone do your specialist clean room ceiling, JK ceilings have over 20 years of experience. Click Here to read more on Clean Room Ceilings Leeds.